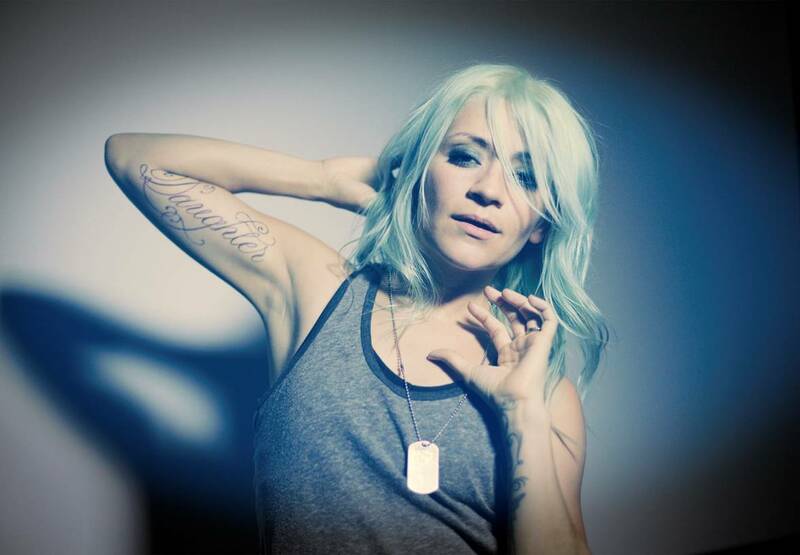 An Interview With Rock Star, LACEY STURM On Her Departure From FLYLEAF, Her Newest Solo Music and Much More! 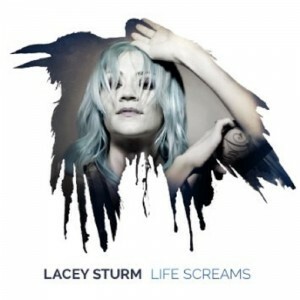 – Lacey Sturm has sold more than 2 million albums in her career as lead singer of Flyleaf. – Lacey’s single “Rot” has been added to Spotify’s “Rock Hard” playlist. – Slacker Radio and AOL Radio have added “Rot” to their “New Rock Now” and “New Rock First” channels, it debuted @ #2 on both! This year has been a great adventure. Soul-growing is another word I would use to describe this year. The biggest highlights of the year with our music would have to be getting to talk to people before and after shows who were impacted by the songs in great ways. The fan stories and interaction is always the biggest highlight for me. Earlier this year, you released your debut solo album, “Life Screams.” What did that feel like? How long had you worked on it? Can you talk about what it was like putting it together with your husband and others? It was scary releasing a solo album because something in the back of my mind worried that being in the music industry again would be the same as it was before. When I was in Flyleaf, I didn’t feel free to keep my personal priorities the way I wanted to. It was a faith leap to put out music and trust that things could be different this time around. It was scary because having children makes keeping priorities that much more important. It turns out, this time around is very different and I am able to balance things and make the best decisions for my spiritual, relational and emotional health. But as far as making music goes, my husband plays guitar and we are always writing. There has been a constant flow of music since I left Flyleaf. To release the music that I feel is relevant to the general public is relieving. I feel like I have gotten to steward a gift and a message that has been stored up in my heart. I’m curious to know what it was like leaving Flyleaf and choosing to be a solo artist? Was it a hard decision to make? It was one of the most difficult decisions I’ve ever made to leave Flyleaf, because the guys in Flyleaf are like my family. And becoming solo was, as I said before, difficult – because I didn’t want to face any shift in priorities. But I feel I’ve learned to balance things well, and my family and I are really enjoying this adventure because we are all going on it together. What was it like being the first woman to top Billboard’s Hard Rock Albums chart? At first I sort of laughed to hear it because it is a narrow category, a solo female hard rock genre.. But when it started to sink in, I realized what an amazing honor it really is to do something for the first time ever. I’m so thankful and amazed. What was the inspiration for your current hit single, “Rot”? What do you think it is about the song that people are responding to? I had just read a book called “Fallen” by an ex-prostitute who ended up being trafficked in Las Vegas, named Annie Lobert. I loved her book. She now runs a 12 month program for girls that are trying to get out of that lifestyle. I was so thankful to read a book about the subject because there are many nights I can’t sleep at all thinking of the people that are trapped in that life. I’ve read other stories and heard people share and it is just overwhelming to me. I had been praying for people I didn’t know for months when the book fell into my hands. And to think that there is any little thing we can do to help is powerful. So that’s part of what I was thinking about when I wrote the song and the video. You have already released one book and another one coming out next month called “The Mystery: Finding True Love in a World of Broken Lovers.” How is writing books different or similar to writing lyrics? Well – I always say that if you can talk too much then you can write a book! Except writing is easier because you can edit out all the stuff that you didn’t really mean or don’t need to say. Writing lyrics to me is similar because I have to envision the story line and where the song will go, and then I fill in the blanks poetically. It’s the same with the book. I envision the story, sort of map out what I can, and then fill in the blanks as vividly as I can. I’d love to work with U2 one day. I’m always so inspired watching Korn perform and would love to tour with those guys again. And there is a band of young girls that I love called The Warning and another band of young girls I love called Dollskin. I love Islander, who have an amazing album and an even more amazing live show, and are just awesome guys. And I was able to write some songs with Korey Cooper from Skillet and it would be so great to tour with those guys in the future. I’m also digging a band called Monster Truck. POD’s latest album is great. And Sameer, my Flyleaf brother has been traveling with them playing keyboards for them, so that’d be cool to go out with them again. Where do you think you are happiest-in the studio recording, performing or elsewhere? I hope there are elements of salvation, freedom, healing, hope, and courage that people take away from the songs. The best way to find out what’s going on with my music and books and speaking appearances is to go to my website, Laceysturm.com. I am working on a new project right now but I can’t share too much about it, so please check the site and sign up on our mailing list to find out first. Thanks!